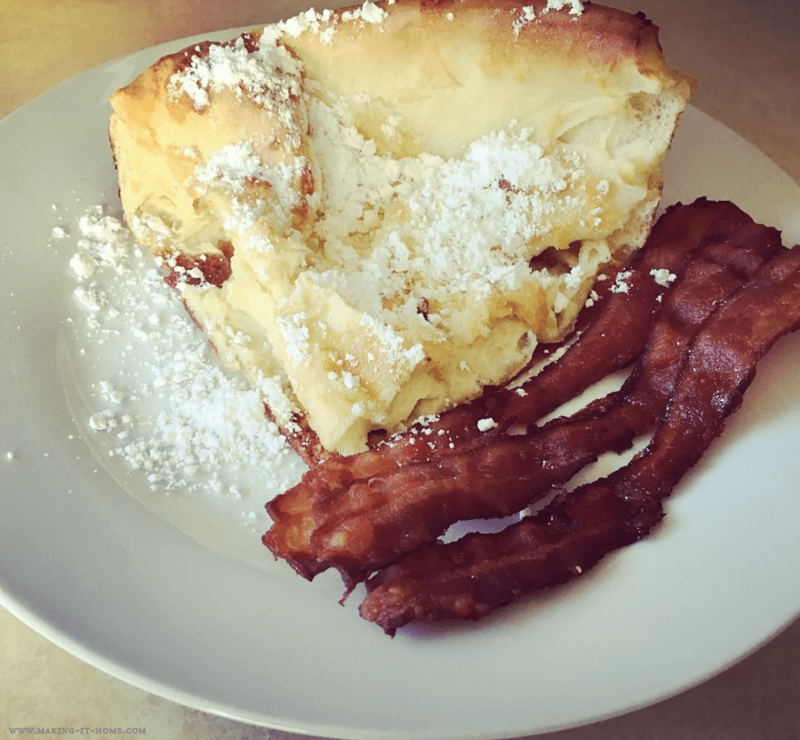 What the Heck is a Dutch Baby Pancake? Well, it’s pretty simple. It’s a pancake that looks and acts like a souffle (only not quite as finicky when baking) and tastes like a crepe. Some people have likened them to a popover or Yorkshire pudding. Whatever you might think they’re like, they are dang tasty! They resemble a German pancake but the type I make originated in the US. My family found the recipe back in the 80’s and we’ve been making them ever since. Ask any family friend who stayed the night at our house as kids and they will tell you about mornings with Dutch babies. 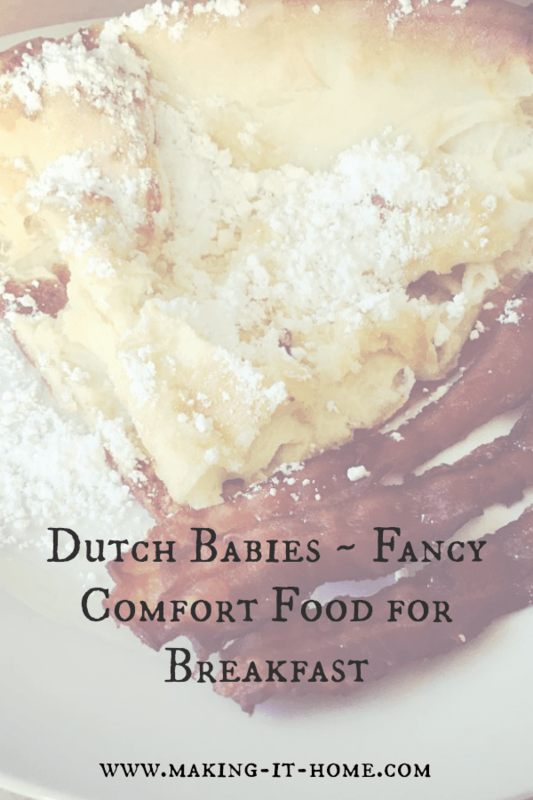 Dutch babies are very simple to make and contain very basic ingredients. So this is the perfect food to make for family’s with a busy schedule and still want a tasty breakfast. After over 30 years of making these delights, I have a few tips that I learned from the occasional failure. If you have a family bigger than 4. 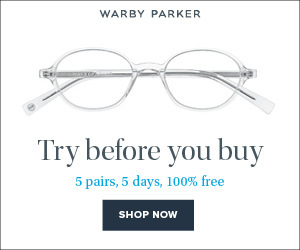 You’re going to need to make more than one. We have two iron skillets for this very reason. Use an 8-10 in. skillet no bigger or smaller. This is the best size to get the edges to rise. Don’t let your brother cut the portions or you’ll get stiffed on your slice. There are many ways to serve a Dutch baby. In our family, we like to put powdered sugar and lemon juice on them and serve them that way. Some people like them with jam or fruit and cream. It’s really up to you and what you prefer. Place butter in a 10in iron skillet and put in the over to melt. 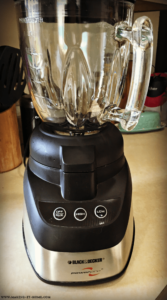 Blend eggs on low in a blender. 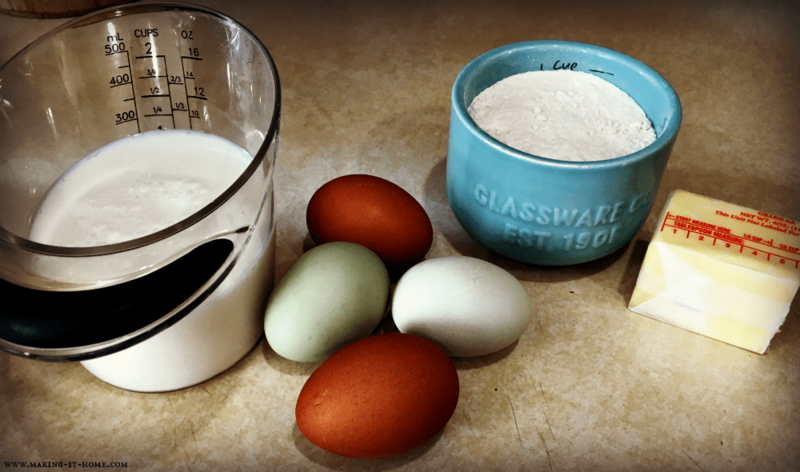 Slowly add flour and blend until batter is smooth. 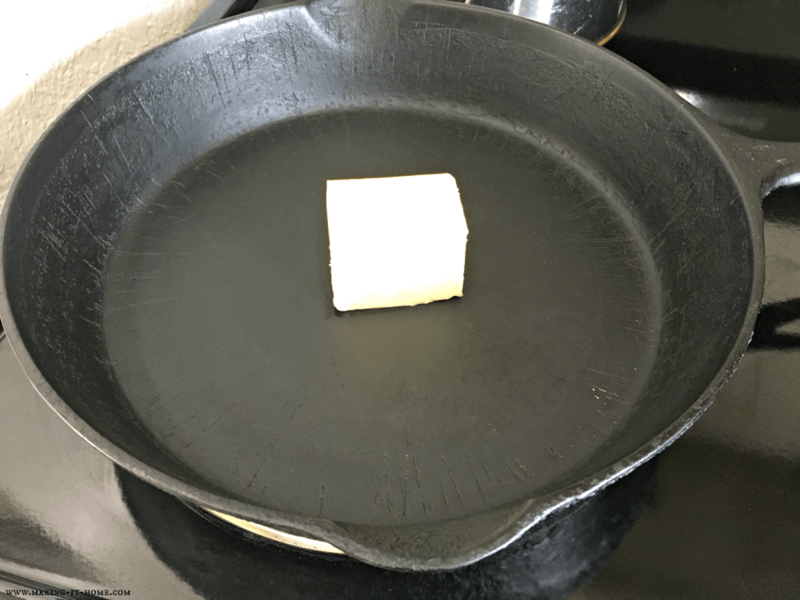 Remove skillet from oven when butter is completely melted and pour batter into center of the pan. Return the skillet to the center of the oven and cook for 25 minutes.